There is disquiet in the All Progressives Congress (APC) over some governors’ visits to Rivers State Governor Nyesom Wike and Akwa Ibom State Governor Udom Emmanuel, who are of the Peoples Democratic Party. (PDP). The APC governors, who visited their PDP counterpart, are: Abdulaziz Yari (Zamfara), Aminu Waziri Tambuwal (Sokoto) and Atiku Bagudu (Kebbi). The governors also jointly hosted Wike in Sokoto- an action that sent political circles guessing that a major plan was on. A minister protested to the APC leadership in the Northwest over the trips, The Nation learnt yesterday. Some Presidency officials are also said to be disturbed by the signal which the visits generated. Some APC leaders were “shocked” that Tambuwal and Bagudu visited Wike before the last legislative election rerun in Rivers State, spending a day with him. The two governors teamed up with Yari, who is also the Chairman of the Nigeria Governors Forum (NGF), to spend Christmas in Akwa Ibom. Wike reciprocated the visits last weekend when he went to Sokoto. The Rivers State Governor was at the Sultan’s palace where he said the Niger Delta would not be part of any move to dismember Nigeria, adding that Nigeria’s unity is not negotiable. A source, reflecting on the development, spoke of “unease in the APC on the shuttles by Tambuwal and others to Rivers and Akwa Ibom states”. “Some of our leaders are uncomfortable with snippets from these trips”, he said, asking not to be named. 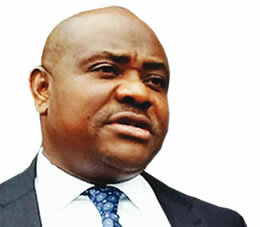 “The timing of the first visit to Rivers State made some of our leaders to be suspicious. It was like paying a solidarity visit to Wike ahead of the Rivers State rerun elections. There have been talks of a new party ahead of the next general elections. The direction and planners of the “mega” party remain unknown. A party leader said: “Some of us have been angry with these governors because our members are going through hell in these states. “There is nothing wrong in exchanging visits or comparing notes, but we saw the trips as missteps at a time we are seeking redress or justice for our members in the affected states. The Department of State Services (DSS) last week gave indications that some politicians are under watch. The politicians include those who are making “inciting” statements. It could not be immediately ascertained if the governors in question are under watch. But one of the governors had complained that his telephone conversations were intercepted by security agents. Another source close to one of the governors added: “Of recent, we observed that some agents of a minister have been abusing our boss online over some of these visits. APC National Publicity Secretary Bolaji Abdullahi said: “My reaction will be that I think we should not read too much political meanings to all these trips. Governors socialise, regardless of party affiliation. “If governors decide to visit each other and socialise, I don’t think the party has the authority to stop them. I think we should not read any meaning into it. Alhaji Imam Imam, Tambuwal’s Special Adviser on Media and Publicity, said: “There is nothing political at all with all these shuttles. The commitment of the governor of Sokoto State to APC is not in doubt at all. Tambuwal is fully committed to APC. Our commitment to the President, the leadership of the party and all APC structures is unshaken and undiluted.